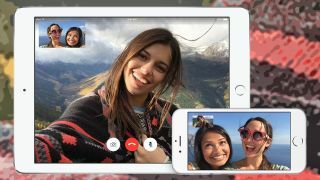 FaceTime is one of the core features built inside iOS (and macOS), and rumors from Israel suggest the app is going to get a significant upgrade in time for iOS 11 - group calling. Apple usually shows off a preview of a brand new iOS every June at its Worldwide Developers Conference so we might have a while to wait before it's confirmed. Of course unlike Google, Apple updates all of its iOS apps (including FaceTime) at the same time as the mobile operating system itself. The rumor comes via Israeli site The Verifier, and isn't the most rock solid of sources. Apple does have engineers working in the country though, so it's possible that the insiders speaking to The Verifier are the real deal. Irrespective of the validity or otherwise of the rumor's source, it would be difficult to believe that Apple isn't working on adding group calling to FaceTime at some point in the future, letting users video chat in groups rather than just one-to-one. It's a feature that's now live in young messaging upstarts such as Facebook Messenger, as well as long-lasting apps such as Microsoft's Skype and Google's Hangouts. If group calling doesn't come to FaceTime soon, Apple risks using some precious market share. While the source of the rumor might be questionable, we think the chance of group calling arriving in FaceTime is very likely - and WWDC 2017 would be the perfect stage to show it off to the world. Can you remember everything that happened at WWDC 2016?